For a variety of reasons, front tires tend to wear out more quickly than rear tires. That’s why even though you start with four new tires on your car when you purchase it, you may find that when it’s time to replace the two front tires, the rear tires still have sufficient tread on them. Common sense might suggest that when you replace only the two worn front tires, you should put the new tires on the front. The logic would be that you can make the somewhat worn rear tires last longer by keeping them on the rear, where they will continue to wear out less quickly. 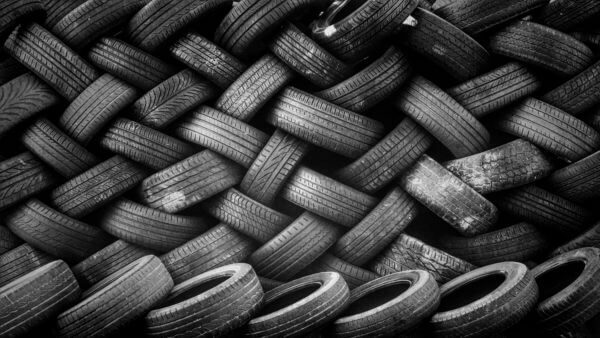 While this approach to tire rotation might seem to make economic sense, however, it is absolutely wrong from a safety standpoint. Countless studies have shown that hydroplaning in wet weather is much less likely if the tires with the most tread are on the back. That’s because it is much easier for a driver to maintain control if the front tires (rather than the rear) lose traction with the road. This phenomenon is dramatically illustrated by this video, sponsored by Michelin, of two cars driving side by side on a wet track. can be downright dangerous for the customer while exposing the tire dealer to significant (and expensive) liability. . . . In dry, clear weather it really doesn’t make much difference, but in wet conditions having new rubber on the rears makes a huge difference. Tiremakers and major retailers are universal and unequivocal in their recommendations that, if only two tires are being replaced, the two new tires should be installed on the rear axle. This same principle applies to rotating tires. The front tires should be rotated to the rear only if they have more tread left than the existing rear tires. Despite the overwhelming evidence that putting new tires on the back is much safer and the fact that all the major players in the tire business now recommend this practice, there are still mom and pop tire stores out there that cling to outdated ideas on this subject. These ideas seem to revolve around preserving tread depth and saving the customer money, rather than on safety during wet weather driving. Old school tire guys will examine the tread pattern of the tires, look at whether the car is front-wheel or rear-wheel drive and then make an “educated” assessment of where the two new tires should go in order to preserve the life of the tires. In a case that we are currently handling, a college student took his car into an independent tire store in a small city in northern California. The owner of the store sold him two new tires and had them placed on the front of the car. Five months later, while driving in a heavy rainstorm, the student encountered a tree that had fallen on to the highway. He swerved to the right to avoid the tree, and his rear tires immediately lost their grip with the road. The car slid off the road, and the driver had no chance to regain control. He was instantly killed when his car struck a tree off the road. His girlfriend, who was in the front seat, suffered a traumatic brain injury. Inspection of the rear tires revealed them to have less than the legally required 1/32 of an inch of tread. For a plaintiff’s lawyer handling a case involving a wet weather crash, the condition of the tires is always an issue to evaluate. If the car lost control and it turns out that the rear tires had significantly less tread than the front, the question becomes how that situation came to pass. Were any of the tires replaced or rotated within the year before the crash, and did the company that performed the work violate the cardinal rule requiring that the best tires be put on the rear? This evaluation could lead to liability against that company, although the plaintiff still has the burden of proving that the difference in tread depth was a substantial factor in causing the crash, which requires an analysis by an accident reconstructionist. Eventually, one would assume that word will reach even the most remote and independent tire shops that there is no longer any question as to their standard of care when replacing just two tires on a vehicle. In the meantime, unfortunately, there are still dangerous practices taking place that can lead to death and catastrophic injuries.